Introducing the new SoftAbsorb™ nappy liner technology, that absorbs runny poo in seconds, that allows you to protect your baby's skin with Huggies® New Baby. 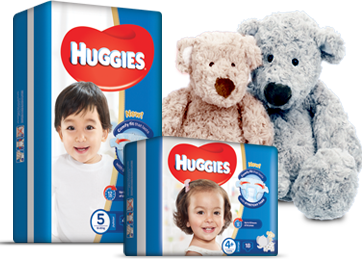 Our comprehensive Huggies® newborn range offers our gentlest protection for your newborn. Our new Huggies® Active Baby has a revolutionary soft DryTouch™ liner that absorbs wetness in seconds, keeping your baby dry and comfortable. 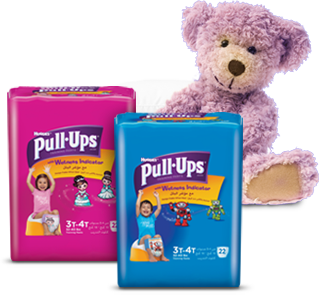 Designed to encourage independence and with special features to teach kids about becoming dry, help make potty training more fun and easier with Huggies® Pull-Ups® The perfect solution to help your little one on their journey to becoming a BIG KID! Did you know that up to 1 in 10 children wet the bed? 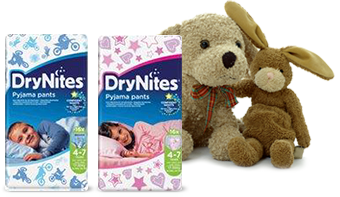 DryNites are special, discrete pyjama pants designed to help parents sensitively tackle this stage in their child's development. Specially designed swim nappies are a must for the pool or trips to the beach. 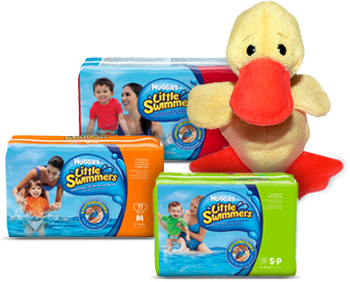 Avoid the embarrassment of accidents in the water and enjoy peace of mind when taking your little one for a splash. Baby wipes are essential for nappy changes, whether at home or on-the-go. Available in three different variants, Huggies® baby wipes are specially designed and textured to clean the mess away while leaving baby’s skin cleaner.